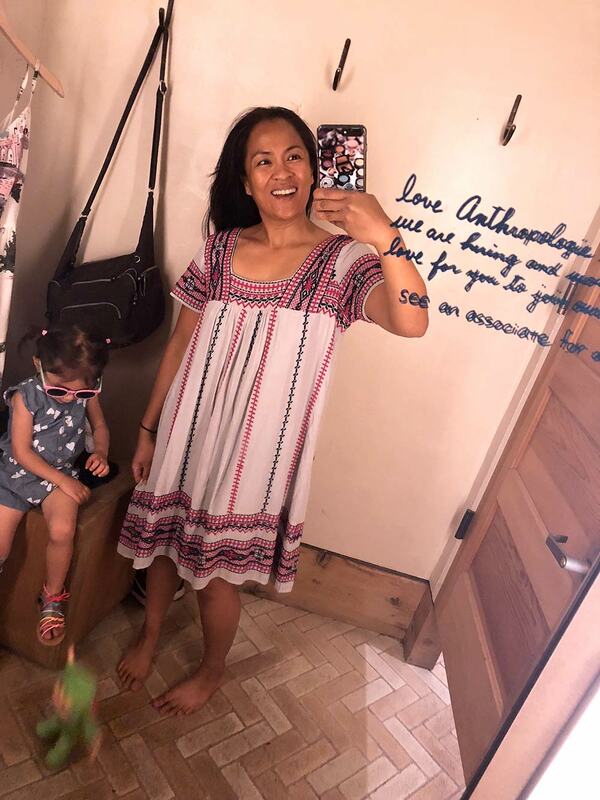 FYI, Anthropologie is where it’s at if you need a $500 muumuu (or mu’umu’u)! I wish I could say I was kidding, but I’m not. 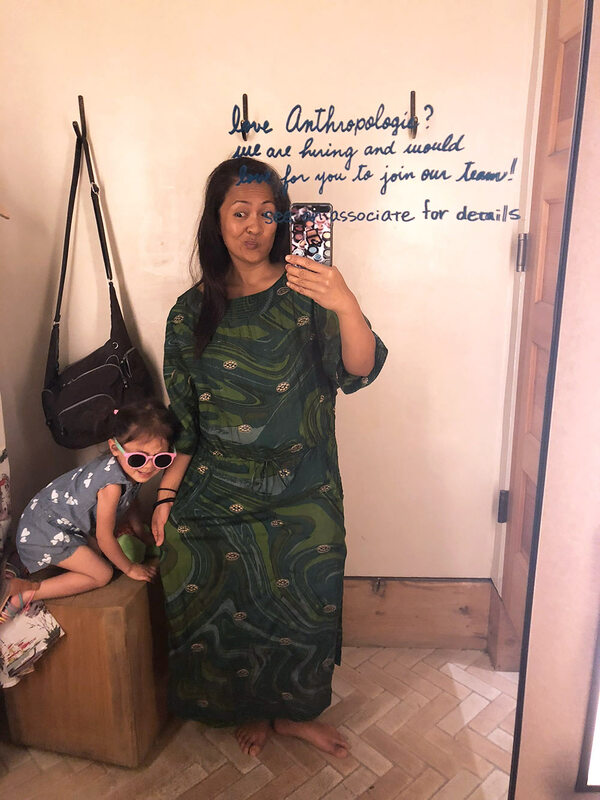 While I was there other day plundering the sale rack, I spotted this bright, silky green caftan on sale for $300 (marked down from $500 though!). Needless to say, the current status of Muumuu Quest at Tabs the Cat Industries LLC is still DSM (Desperately Seeking Muumuu). 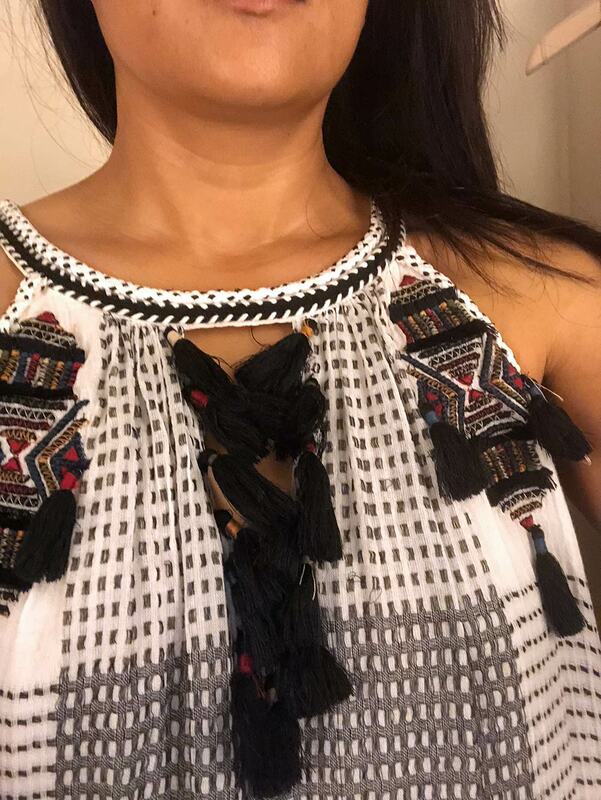 Doesn’t the print look like an abstract painting of peacock feathers? Or an abstract kelp forest in the ocean? I think it’s lovely, and the silk felt fabulous (seriously, when does one get the chance to try on a $500 muumuu? ), but there’s no way in hell I’m spending that much for a dress to knock around the house in. Mind you, the Mrs. Roper-ness levels on it were very, VERY high. Helen would be totally feeling it. It looked terrible on me, though, because the drawstring waist hit at a weird spot, the sleeves were a little too drape-y, and the neckline was way too wide. 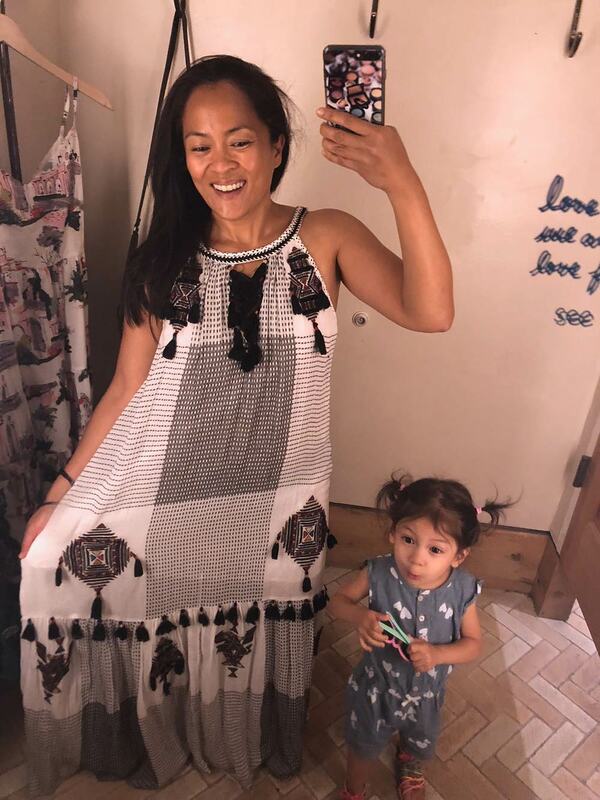 This muumuu-esque dress by Maeve has navy tassels, oh-la-la! It’s like a 21st century updated version of a muumuu. I loved the way it flowed when I twirled in it (vitally important). Unfortch, it was $200 (and wasn’t on sale), but if it had been under $100, I would’ve seriously considered it. Too bad this next Mrs. Roper dress by Maeve wasn’t longer, because if it had been, I would’ve said YES TO THE DRESS! It was on sale for $99 (originally $168). 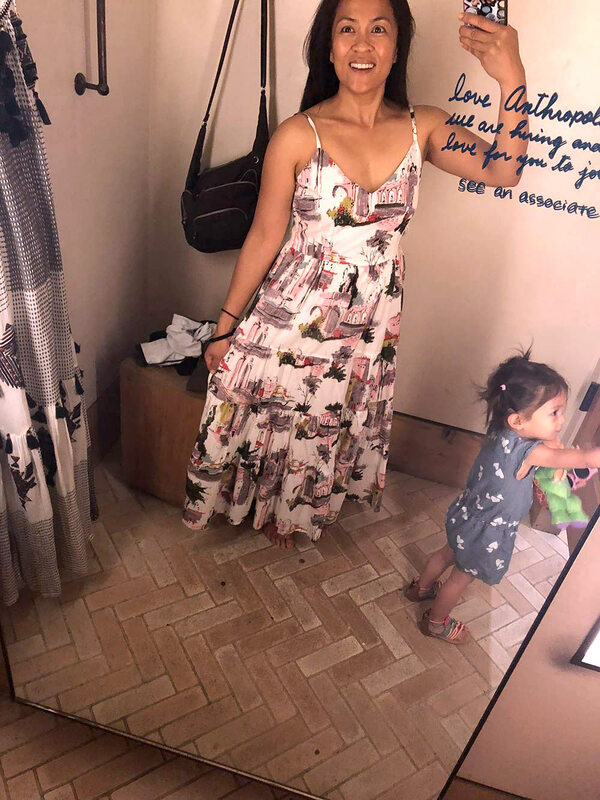 Oh, and even though this maxi dress by Lazybones looks nothing like a muumuu or a caftan, I gave it a go because of the print. On sale for $135 (originally $168). It fit OK, but I didn’t love it. Also…NOT A MUUMUU. Wherefore art thou, muumuu? Wherever you are, you shall be mine!